I’m becoming excited about my place again, excited about what I am learning and doing. It has been a while since that happened, but I think that a pretty big change in direction has helped with that. I decided to go back to school. A mentor has been suggesting it for a while, but I have brushed it off as unnecessary, since I have had the business and all. But the business isn’t cutting it, and it hasn’t been going the way that I intended for it to, so it is time to continue on my own personal journey so that I can figure out where the business needs to go. I have a really awesome idea where it should go, but I need time to get it there. And schooling. I think learning more will be a good thing. It usually is. After my mentor mentioned it and I scoffed at it (I actually filled out the application but didn’t follow up with my transcripts), I spoke to another woman who has had years and years of experience in the early childhood community as a consultant. I asked her how she came to be doing what she has done, and one of the major things that she mentioned was schooling. So apparently necessity in this field. I thought I could be one of those people that can drop out of college and make their mark. And in a lot of fields you can. But not this one. That may seem funny to some people who are reading this – that I actually thought that. But when you look at the innovators of this age, the Steve Jobs and the Mark Zuckerbergs, those are some pretty big role models who did not need to complete college to get where they are today. I look at the people I admire in the business world and they are saying and doing the same thing. But this isn’t the business world. This is the education world. Its a little bit different and I am working really hard to accept that. I love to learn, but I hate classrooms. I know that as I get farther along in this journey that will probably get better, and luckily there are more online learning programs now than there ever have been. That helps. So I’m packing up the business for a while and going back to school. It is actually almost a relief. It will give me more time to post on here, I know that. I’ve missed it here. In an effort to really understand what has been going on with me and my crazy mind-swings, I have been doing some research into areas that I believe will help me understand myself. I am reading Emotional Intelligence by Daniel Goleman, to be followed closely by Social Intelligence by the same author. I got these books originally as research for a book that I have been working on about conflict resolution (not the one that I was excerpting on this blog; that one has been shelved for now). Emotional Intelligence has been really fascinating so far, but I put it down for a few days to research something else that I have been curious about: personality. I took a personality test years ago. It defined me as INTP. I didn’t know too much about that except that it means that I am definitely introverted. This past weekend I have been reading more into personality tests, what they measure, and what they mean. Did you know that, out of all of the personalities out there, INTP is the rarest? And from what I have read, it is amazing that I really get along with anyone at all since I live in my head so much. That’s an INTP for you. I have a lot to learn about this whole personality thing, and it may be something that I read some more about. I had my fiance take the personality test so that I could see not only what his personality type is, but how our personalities interact together. I know, I can see how our personalities interact together on a daily basis, but one of the hallmarks of our relationship is that we don’t fight very much, and not over some of the things that other couples fight about. I was wondering if I could figure out why that is by examining our personality profiles side by side to see how our personalities work together. Also, it might be helpful with children in the classroom, too, to be able to see who has what personality and how we can work to make the classroom as comfortable for those personalities as possible. I think it will help me when I am dealing with my extroverted child, as well. She is about as extroverted as I am introverted, and I’m pretty introverted. That has already made for some interesting differences of opinion as far as how we should spend our time, among other things. There are many useful applications of this knowledge, and I can’t wait to share what I learn about it. And about emotional and social intelligence, as well. So a few months ago I told you that I was not going to be posting on this blog anymore; I was moving to a new website named after my company, Project: Preschool. My intent was to export this blog to that website and keep things going there, but somehow it never felt right. I never got that done. I got a few things moved over, but not the entire blog. After much introspection, I decided to continue my blogging efforts here. After all, I have my entire blog history on this site. This is where I started. This is where I can see how I have changed my thinking in the many years since I started. So what caused all of this? What am I really doing here? Well, being in introspective person that I am, I really started examining where I was going and what I was doing. I haven’t been happy in the classroom in quite a while, which is a shame because that is where my passion has always been. I have been pounding away at the professional development business with a little bit of success, but I’m not sure what kind of gains I have been making with anything because the business is still very new. And exhausting. I mean really, when we get right down to it, starting a new business is one of the most stressful and exhausting things you can do, especially if you have a full-time job as well. And I realized that somehow my priorities had gotten mixed up. Somehow the business became more important than the classroom. I think I know how it happened: when you are an assistant teacher in a classroom, you don’t have quite as much responsibility for the direction of the class or how the classroom is going to look or anything like that. That is where I started with this new job and because I didn’t have the added responsibility of being in charge of the classroom I put the business at priority number one. Of course, it had been a big priority before that, when I was so stressed out at my other job. Anything to get out of there, right? At least, that is how I felt. I wanted to grow the business so that I could stop working for other people and be my own boss. And that is great, if that is what you want to do. But in the middle of all this stress I lost sight of the classroom, which was where my passion started. Heck, that is where my passion is – I just didn’t realize it for all of the stress. The business was always supposed to grow organically from what I was doing in the classroom. The classroom was always supposed to come first. It didn’t end up that way. It ended up with me being completely stressed out about slideshows and presentations and did these people like what I was doing and what am I going to do to market this thing and what product am I going to produce next and how fast can I get it put together. I hated my job in the classroom. I’m not sure how much I liked the business. Don’t get me wrong; I love doing the workshops. It is all of the work that I have to do to get the workshops and after the workshops that I don’t particularly care for. And I started thinking about what was going on. Why did I hate the classroom? I used to love the classroom! I used to get up every morning fired up to go to work and play with the kids and explore things and do things and I didn’t care about the money. I just wanted to work and play and explore. And I did. And I loved it. I lost sight of what was important. I lost sight of my love. My love for the theories of education and creativity and curiosity were replace by books about how to grow a business. If you are like me, those books aren’t nearly as interesting as the theories of education and creativity and curiosity. I just got rid of a huge pile of those business books this weekend in an attempt to get back to what is important. I don’t know what is going to happen with the business at this point. I love doing the workshops and I don’t see me stopping at this point, but I don’t see the workshops happening the way that they have been. I don’t see the marketing happening the way that it has been. I see me getting back to what is important to me: the classroom. And I hope that you will stay with me on this journey as I continue to push forward into the things that are truly important. 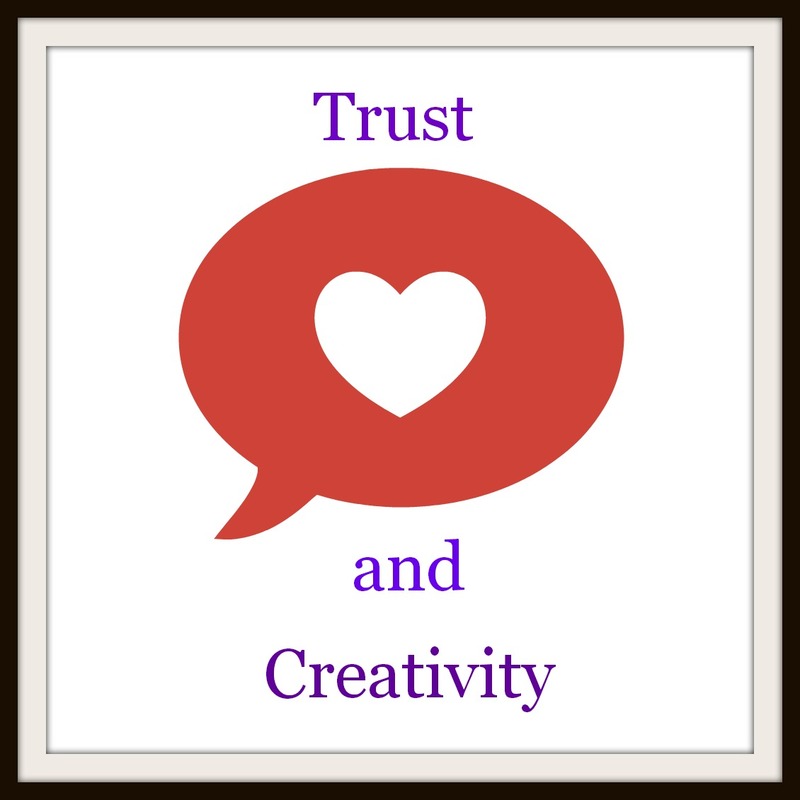 I am putting the finishing touches on my Encouraging Creativity in the Classroom local workshop. The online version won’t be available for some time yet, as I am still learning the ins-and-outs of putting together an online course. The information that I am focusing on right now deals with classroom management and how it relates to the expression of creativity in the classroom. I wrote a note to myself in the initial outline draft about the power of “why” in the classroom. This is not a new idea on this blog. I believe that children, like adults, have the power to reason. Their ability to reason is not as mature as adults – they may come up with some off-the-wall reasons for some things. But they come up with reasons – they understand that behaviors and outcomes have reasons behind them – especially when we ask the word “why”. Why do we not run around the classroom? Why do we not jump on the bed? Why do we not write on the walls or the furniture? Why do we not throw toys? “Why” is an important word to give reason to children, but it is also important for teachers as well. I have had many instances where I have been telling the children to do something (or, in most cases, not to do something) and my brain all the sudden stops me and asks me “Why are you asking them to stop? Is there a safety issue involved? Is someone going to get hurt? No – really – is someone going to get hurt?” Although this is not going to become a post about risk-taking, the question is very important for that reason. How much risk am I comfortable with them taking, as the one who is responsible for their safety? But most importantly, why am I asking them to stop? Control? Power? And if I am asking them to stop, what is the reason that I am going to give them? Trust me, children will be more liable to stop if they have a logical reason – a because that makes sense to them. Simply asking or telling a child to stop is an arbitrary command to them. You may have a perfectly valid reason for asking them to stop doing what they are doing, but they will not know that if you don’t tell them. “Because I said so” is not a reason. It may be perfectly valid to you, as the teacher, because the child is supposed to listen to you and follow your direction. But the reason why they are supposed to follow your direction is because it is your job to keep them safe and teach them how to live safely and productively in this world. Simply giving them “Because I said so” as a reason for not doing something does not teach them anything about how you are trying to keep them safe or productive. It becomes an arbitrary command from you to them. How often do you want to follow a command that someone else gives you, without being given the reason for why you are being commanded? If someone continuously commands you without reason, you begin to feel disrespected – and even unsafe. If you feel like your life or work becomes subject to the arbitrary whims of someone else, it isn’t a place that you really want to be in any more, is it? You never know what is coming next, or why you are being picked on in this way. Because that is what it ends up feeling like – like you are being picked on. Giving a valid reason for asking a child to do something is giving the child the same respect that you deserve. And all children deserve that respect as much as we do. Not only is it respectful, but it continues the lessons about actions having reasons – an important lesson to learn. People become goal-driven as they get older (and this starts at a young age), and teaching children the power of “why” and “because” helps them to realize that every action has a purpose and every purpose brings us closer to a goal. And in our quest to bring creativity to the classroom, it helps us put children and ourselves on the path toward realizing just how creative our classroom can be.